My laundry is hanging out to dry and I have narrowed down the books I plan to read for the 24 hour read-a-thon. I got some cleaning done around the house and managed to catch up on some series, patiently waiting for 14:00 to roll by so that I can get stuck into my reading and be deemed “annoying” on my social media platforms. I have about an hour to go so I thought I could do a quick post showing off the books I picked up during September and October. Can we just take a moment to admire the beauty of these Harry Potter covers? They are SO beautiful and I am really excited to be collecting these for my bookshelf. I have read The Tales of Beedle the Bard, The Chamber of Secrets and The Prisoner of Azkaban already as I am sure you have seen here. I cannot express how much I loved this book. It was filled with so much history that I cannot begin to wrap my head around. I have written an in depth review of this book over here if you are interested in knowing a little bit more about this hauntingly beautiful novel, which was based on a true story. This book has been compared to Harry Potter so I had to get it when I saw it on sale at a local bookstore. I loved the cover, which admittedly was the deciding factor on whether or not I should buy it. I haven’t read it yet but I plan to start it real soon. I have read Cinder and Scarlet, which I have written reviews on here and here. To me Scarlet was a build up to Cress, so I am really keen to get into this book. Jodi Picoult is one of my favourite authors, probably because my first “big person book” (you know, thick books, with big words and no pictures?) was written by her. Most of the books I’ve read by her was either borrowed from someone else, or is an e-book version; so I really want to get more of her books for my shelf. I have always wanted to read The Pact because it seems like a typical Jodi Picoult story. I have read SO many amazing reviews about this book, so when I saw it was available on The Readers Warehouse I immediately added it to my shopping cart. It was dropped off by the couriers early Monday morning, so you can imagine how slowly the day went by with me so excited to get home and see my precious! ( I said ‘so’ SO many times there, sorry! I am in a rush because I have about 15 minutes left until the read-a-thon begins!!) Anyways, as I was saying, I got home and tore the packaging apart like a pit-bull! I read a few pages and could not put it down! The writing is beautiful, the characters are amazing and the story line is epic!! I consider these my lucky buys from last month because I picked them up at a sale for R49 each! These are classics which I have been meaning to read for the longest time, AND they are hardbacks!! I want to get into reading more classics so hopefully this will be a good start for me once I bring myself to pick them up and start reading! Another book I bought from The Readers Warehouse because it was a steal for R49! I didn’t know how massive this book was so I was a bit shocked when I opened the package and found it. I am a major fan of historical fiction and this book has been on my radar for quite some time; so I plan to get straight into it after The Young Elites. And that’s is my combined book haul for September and October! See anything you enjoyed? Drop a comment and let me know! 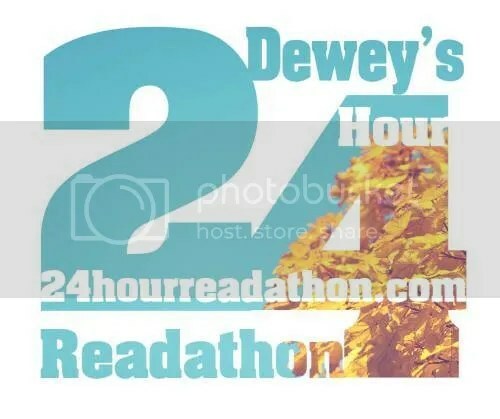 Don’t forget to follow me for the next 24 hours on these social media platforms as I will be updating regularly on my progress for the 24 hour reading challenge! I am a huge fan of historical fiction. I think it all started in high school when we read Anne Frank and I could not fathom that people had those experiences in the same world I live in today. I especially cannot believe that disturbingly similar events are happening in this world today – as I write this!! Historical fiction tells stories that are most of the time based on real life experiences; and that alone has the power to make one see the world from a whole new perspective. When I completed Between Shades of Gray I was speechless. Even more so after reading the author’s note and learning about Stalin and the horrendous crimes that were committed under his dictatorship. For a while I was concerned about my memory because I could not remember ever being taught about this in school. I vividly recall the lessons about Hitler’s Holocaust; but I don’t remember ever learning about the deportation of citizens from Lithuania, Estonia, and Latvia during World War II. I only took history up until grade 9 but still, it seems like a significant part of world events that has been over looked. Then I saw that so many others are wondering the same thing – why was this traumatic, vitally important part of history being left out of the school syllabus? Especially considering that it is so closely linked to Nazi Germany. Lina finds solace in her art, meticulously–and at great risk–documenting events by drawing, hoping these messages will make their way to her father’s prison camp to let him know they are still alive. It is a long and harrowing journey, spanning years and covering 6,500 miles, but it is through incredible strength, love, and hope that Lina ultimately survives.Between Shades of Gray is a novel that will steal your breath and capture your heart. Between Shades of Gray was an extremely compelling read – one that I will be reading for years to come. The way Ruta Sepetys captures the unimaginable circumstances these people were forced to endure, chilled me to the bone. Yet, this story was so heart warming because you read about people who had this hope and faith in the world despite the life they were trying surviving. Throughout the book there was this contrast of good, and pure evil that made me so angry. I was angry about the cruelty of the world, I was angry that one person’s life meant so little to another and I was angered by the audacity of some to even think that they were better than someone else – let alone treat another human life as if it meant nothing. I think most of all, I was gutted when I realised that so many more of these stories would never be told because the world do not even know that they exist in the first place. But, Ruta Sepetys told this story in such a way that you are left feeling at peace. You are left feeling determined and strong to dare hope that better days will greet you in the end. Through all the terror and heartache, you cannot help but have hope in humanity. And this is why I was left utterly speechless – I find it so hard to explain. And I do not think I should, because every person needs to pick up this book and read it. Read it for all those people who were taken from this world without a chance to tell their story. Have you learned about these historical events during school? What other historical fiction books would you recommend I read? Please leave a comment, I am really eager to know! I read The Book Thief a few years ago, and it took me a while to read anything else after. This book is probably the most beautifully written book I have ever read, filled with so much detail which makes it impossible not to leave you in awe of Markus Zusak. A story of love and friendship found in the most unlikeliest of places; a story that fills you up, completely drains you and then fills you up once more. A must read for EVERYONE! Like I said, when I completed The Book Thief it took me a long time to get back into reading anything else. The reason for this was that I needed a book as deep and meaningful as the one I’ve come to find in Markus Zusak’s masterpiece. I found this between the pages of Someone Knows My Name – another book from the historical fiction genre which I have come to love – although this one is set during the time of slavery. Someone Knows My Name, also titled The Book of Negroes, follows the life of Aminata Diallo. A woman who was abducted from Africa as a child and enslaved in South Carolina. This is a tale about the horrors of a part of world history that should never be forgotten, a tale about one woman’s life experience during some of the darkest times known to humankind. A story about perseverance, and patients to never give up hope for freedom – a tale of one woman’s dream to come home. This book will completely change the way you see the world you live in today. It will open your eyes and expose you to some harsh realities that you may not want to face. I don’t know why schools still force students to read Shakespeare when books like these are out there! ‘“You must learn to respect,” Papa said. But I do not respect her,” I said. I wrote a little review about this book here, explaining why I loved it so much. Leaving time could possibly be my favourite Jodi Picoult book – it was beautifully told, contained realistic, well researched information which I truly appreciated, and completely blindsided me with a gut wrenching twist of events. I thoroughly enjoyed this book! Up until I read Leaving Time, My Sister’s Keeper held the spot of my favourite Jodi Picoult book for years! I read it in high school and I still remember how I felt when I got to that point in the book. That point I think I’ve come to expect now from Picoult, yet she some how manages to flaw me every single time I reach the ending to one of her stories! My Sister’s Keeper was also a very well researched, insightful book which the movie did absolute no justice to in my opinion. Another book I read in high school that stuck with me over the years because of the beautiful way that it was written. This story tugged at my heart strings until it finally ripped my heart right out my chest, and shattered it into a million tiny pieces. I think you can see why it’s spot has been reserved on this list for so long. I know I only started reading Harry Potter now, but let me just grab my pile of JK Rowling books and jump front row onto the band wagon! I completely understand why people love these books so much! I only started book three now, but it is definitely safe to say that I am a huge Harry Potter nerd ! I have always loved the movies, but I have to say that even though I thought the movies were perfect, the books just has so much more detail that makes the whole story even more special! I wrote a review on this book here if you would like to read it. Falling into you is one of my favourite romance books. There was just something about the hero, Colt, that I loved reading about. In my opinion this book was far better than To all the boys I’ve loved before by Jenny Han. I read it a few years ago and still scan over my favourite parts whenever I am between books. I grew up reading Roald Dahl books – James and the Giant Peach, The Twits, The Witches, Charlie and the Chocolate Factory, Esio Trot and many more. It all started when I read his children’s poetry – a hilarious retelling of the classical tales – which I discovered in the library. I loved his writing immediately, and just had to read more of his work. My Mum got some of his books which I practically inhaled, and ever since I have loved everything he wrote. I completed this book last night and completely fell in love with Patrick Ness’s writing! Conor’s story and struggles broke my heart, but also gave me that sense that everything was going to be okay. This book told a tale of strength and courage and what it means to be a simple, honest living, human. It is a book that I will continue reading for many years to come. If you accept, I am really looking forward to reading it! I’ll Give You the Sun takes place over a period of three years; following the events that occur in the teenage lives of twins, Noah and Jude. The book is written from the twins’ perspectives, and it is told from two different points in their lives. Noah tells his story from the age of 13, while Jude tells her side of things from the age of 16 – the present – and throughout the book, one gets the sense that something happened between the two which caused them to drift apart. This book was so brilliantly crafted, that it brought to life every feeling and emotion written on the page. The way the characters expressed themselves through art spilt over in the form of illustrations that made for an overly special reading experience. Jandy Nelson’s Jude and Noah were vividly dimensional – they changed throughout the story in ways I never expected. At the beginning of the book I adored Noah; he was a lost soul roaming the world by his lonesome, in the shadow of his beautiful sister. I wanted to pick him from the book, give him a hug and assure him that everything will be ok. And when it came to a point where that statement would be deemed a lie; well, my heart broke for him – for the boy he was meant to be. Then there was Jude – a character that completely floored me because of how different she turned out to be from what I was expecting. She was strong even when she herself felt weak. She was weird, and wonderful in ways that makes a fictional character stay with you long after you’ve completed their story. And as I type this very sentence, I am realizing how perfect that makes these two characters – they compliment each other in ways that I imagine, only twins can. Even though I predicted what the underlying issue was, I still enjoyed this book right up until the very end. And even though I predicted what the underlying issues were, I only came to fully understand the impact of these issues once I reached the end of the story. That on its own was the deciding factor for the 5/5 stars I gave this book. There is so much more that can be written about I’ll Give You the Sun. So much more that I really want to say! But I think some things should be left to experience personally. Do yourself a favour, and read this book! I know it’s only half way through August but I think I’ve done enough book buying, and it’s safe to say that I’m done for the month. I only recently discovered this amazing online book store based in South Africa, called Reader’s Warehouse and I couldn’t wait to place my first order. 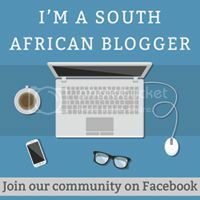 I belong to their reviewer club where for every book you review on their website, you get a R2 voucher. I’ve accumulated about R42 which I immediately cashed out to buy two books (as shown above) that I’ve had my eye on for a while. I chose to have the books delivered straight home, because who doesn’t enjoy the excitement of unwrapping a parcel dropped off by the couriers? I have to say that I was really impressed by their service. They responded very quickly whenever I had a query and made me feel so welcome and special. I always appreciate this kind of service from stores because to me it shows that they care about their customers, and it means a lot when they go that extra mile to make me feel like I matter to them… I am also so happy with the books I got and can’t wait to place my next order! So that is my August Book wrap-up! I have quite a list of books I’d like to get but if there are any you’ve enjoyed recently that you would recommend I get then please feel free to drop a comment to let me know. Oh! And if you haven’t noticed, I joined Instagram lately, where you can follow my Bibliophilic tendencies if that sounds like something that would appeal to you.